November’s character trait is building compassion in our students. We are excited to see our students open up their hearts to help others less fortunate. Also, it will be fun to line the whole school in cans. We encourage the students to bring in items starting October 20th until November 20th. This food drive supports the Elbert Task Force. We are heading into the holidays and its hard to believe how time has flown by. We want to make it a healthy winter for our students, so please remember, if your student has had a temperature, thrown up, or been on antibiotics for less than twenty-four hours, please keep them home. The character attribute for November is compassion. 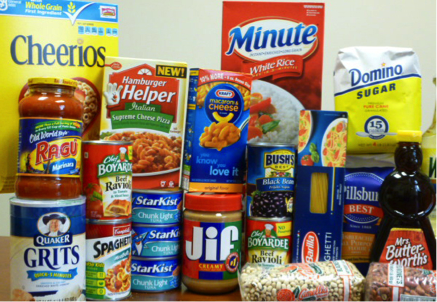 We are having a food drive for the Elbert Task Force beginning October 20th and ending November 20th. We are encouraging students to bring in canned food items, cereal and toiletries. Mrs. Cook’s class is collecting new/gently loved stuffed animals for the Teddy Bear Project- this organization distributes stuffed animals to children in crisis. Anyone interested in helping, there is a collection box outside of Mrs. Cooks classroom. We are so excited to see our students open up their hearts to help others less fortunate. All unclaimed lost and found items will be donated October 30, 2015. Please mark your calendars now for our students upcoming Christmas programs. Kindergarten through fourth grade Thursday, December 3, 2015, 6:00pm to 7:00pm. 5th through 8th grade Wednesday, December 2, 2015, 6:00pm to 7:00pm. There is a parent/student Spelling Bee meeting on Tuesday, October 26, in the library 3:30pm – 4:00pm. Spelling Bee practice for students 4th through 8th grade begins Tuesday, November 3, 3:30pm – 4:00pm in the Library and every Tuesday following until the actual Spelling Bee which is Tuesday, December 8, 2015 in the cafeteria. Permission slips for practice can be found on our website. Picture Retakes & Fall Sports Pictures. Due to technical difficulties, picture packets are not available for the scheduled retake day. Picture packets should come home shortly. If you know from your student’s I.D. card that you want retakes, please make sure your student knows and they will take your students picture this day. All new students who were not here for the initial picture day will have their picture taken as well. We have also scheduled another retake picture day for Friday, November 13, 2015. This is not an ordinary “Dress of Choice Day” for elementary students but we are adding it to accommodate the retakes and anyone who has not previously had their photograph taken. All parents who originally purchased photograph packets that were delayed, will receive a complimentary calendar valued at $12.00 for the inconvenience. Please have your athlete student(s) bring their full uniform as well as socks and shoes for pictures. Mr. Branson’s team lunch 11:30am, reward for best team spirit at the Fun Run. Come play with your kids in a large nerf blaster game. Open to ages 7 and up (including adults). $10 per person and bring a can of food for our food drive to receive $1 off concessions. Bring your own nerf blaster and eyewear. Darts, disks and limited eyewear will be provided. Funds raised will go towards supporting our Character Education Program. Students are not allowed to bring their nerf blasters to school during the school day. Please bring them to the event at 6pm. If any questions, email labod@legacyk8.org. Parents will be required to sign a waiver prior to their student participating in this event. No exceptions will be made. The waiver will be available at the office or at the event. Spelling Bee parent/student meeting 4th through 8th grade in the Library 3:30pm – 4:00pm. Daylight savings time. Set your clock back one hour! Second grade field trip to Littleton Historical Museum. Third grade field trip to the Cliff Dwellings. All School “Colorado Sport Team” Dress of Choice- No Fee. A Thanksgiving gift from our Administration Team. We are Thankful for you! Come play with your kids in a large nerf blaster game. Open to ages 7 and up (including adults). $10 per person and bring a can of food for our food drive to receive $1 off concessions. Bring your own nerf blaster and eyewear. Darts, disks and limited eyewear will be provided. Funds raised will go towards supporting our Character Education Program. Students are not allowed to bring their nerf blasters to school during the school day. Please bring them to the event at 6pm. If any questions, please email labod@legacyk8.org. Parents will be required to sign a waiver prior to their student participating in this event. No exceptions will be made. The waiver will be available at the office or at the event. LA Governing Board Meeting 6:30pm Mr. Entner’s room. Veterans Day! Thank you to all who serve/served our country! We appreciate you! All School Dress of Choice! Scheduled to accommodate Picture Retakes. Mr. Millet’s team lunch 11:30am, reward for most donations received for the Fun Run. Middle School Honor Roll Dessert Bar for first quarter 2:30pm in the cafeteria. Middle School Social in the cafeteria 3:30pm to 5:00pm Free as a reward for Fun Run. Monday, November 23rd – Friday, November 27th Thanksgiving Break. We wish all our Legacy Academy families a wonderful and safe holiday. We are so thankful for you! We have an exciting contest that is open to every student at Legacy! Every year we have a father/daughter dance in February. This year we would like input from students on what the theme should be. An email has been sent to 3rd grade thru 8th grade students for them to enter the contest and create an invitation to turn into the front office no later than Friday, the 23rd. If you have a kindergarten thru 2nd grade student who would like to enter the contest, parents are welcome to email info@legacy for the link. The top three finalists will then be chosen by one of the staff members. Students from each class will be allowed to vote the following Monday and Tuesday for their favorite one. The winner will be announced on Wednesday, the 28th and receive a big basket of candy! So get those imaginations running! We are looking forward to what you come up with! We need a boys and girls basketball coaches. Please contact our Athletic Director, Micah Chadrick for more information email micah.chadrick@legacyk8.org. We will have picture retakes and fall sports pictures on Friday, October 23rd. This is a dress of choice day for all students. If your student has participated in fall sports, please have them bring their full uniform as well as socks and shoes for pictures. The 2015 Legacy Academy Spelling Bee will be held Tuesday, December 8th after school. The Bee is open to students in grades 4-8, so please encourage participation if you have an eligible student. There will be an informational meeting for parents and students on Tuesday, October 27th right after school in the library. Practices will be held on Tuesdays (November 3, 10, 17, and December 1) from 3:30-4, in the library. If you have any questions or cannot attend the informational meeting, please contact Kristen Crookshanks, the Bee parent helper, at 303-646-2337 or lobonunc@yahoo.com. Please fill out and submit the Bee permission slip to the office. We are excited to announce that Legacy Academy has teamed up with Original Works to offer an art-based program at our school. Through this program, you will have the opportunity to purchase a variety of products featuring your child’s very own artwork. Please look for information from the art department in Monday Folders. Here is a copy of the family letter being sent home. Join us for a night of the stars, planets, and our moon. Remember to bring a jacket as Colorado can be cold this time of year. Tickets are free so bring your family and sign up for a time to gaze through the telescopes.